In the immediate postwar years, Chevrolet went back to its 1942 model year tooling to jump start its passenger car business. The public was starved for new cars, so sales kept pace with production. The result was that the cars changed little for a few years as Chevrolet made as many vehicles as possible. 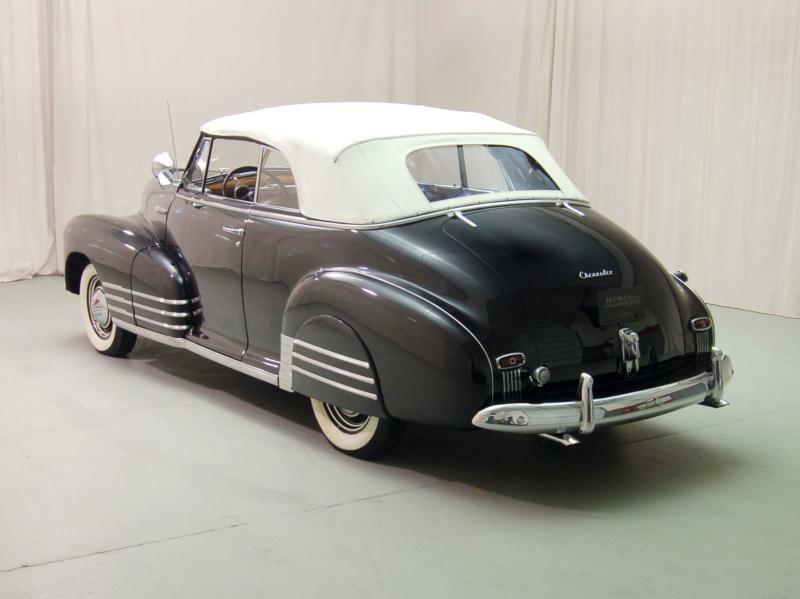 The Fleetmaster line was Chevrolet’s middle trim level in this period, comparable to the Special Deluxe trim level from the prewar years, with the Stylemaster being the budget offering and the Fleetline being the top trim level. 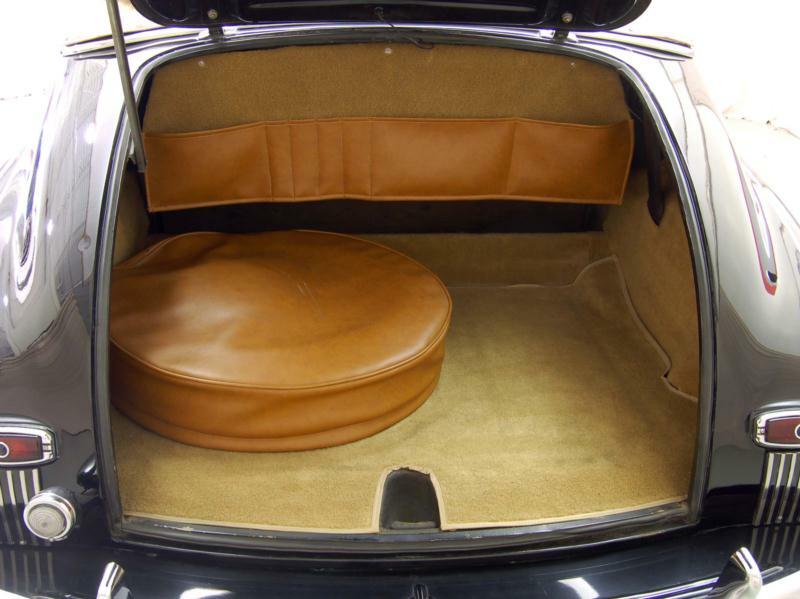 Differences were mostly expressed in exterior brightwork, but upgraded upholstery and features such as sunvisors also separated the trim levels. The Fleetmaster was available in a variety of body styles, including a two-door sport coupe, a town sedan, and a convertible. A four-door line included a fastback sport sedan and an eight-passenger true “woodie” station wagon. 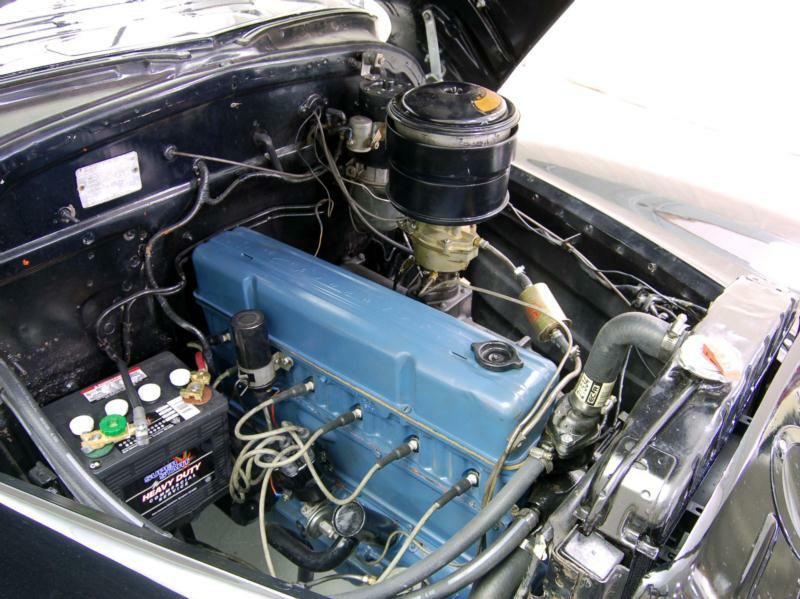 The Fleetmaster engine was the “Blue Flame” overhead valve, inline six-cylinder that displaced 216.5 cid and delivered 90 hp. Power was transmitted through a three-speed manual gearbox with column shift. Optional extras included two grades of radios, an under-dash or in-dash heater and defroster, fog lamps, a spotlight, wheel trim rings, and a cowl-mounted windshield washer. 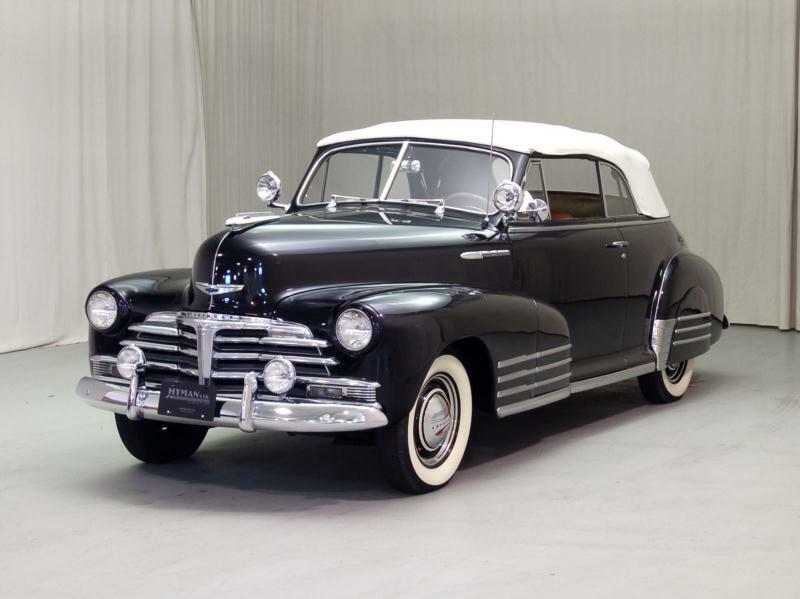 The 1947 Chevy Fleetmasters were essentially unchanged, except that the list of options grew slightly longer and the interior appointments were made a little nicer. 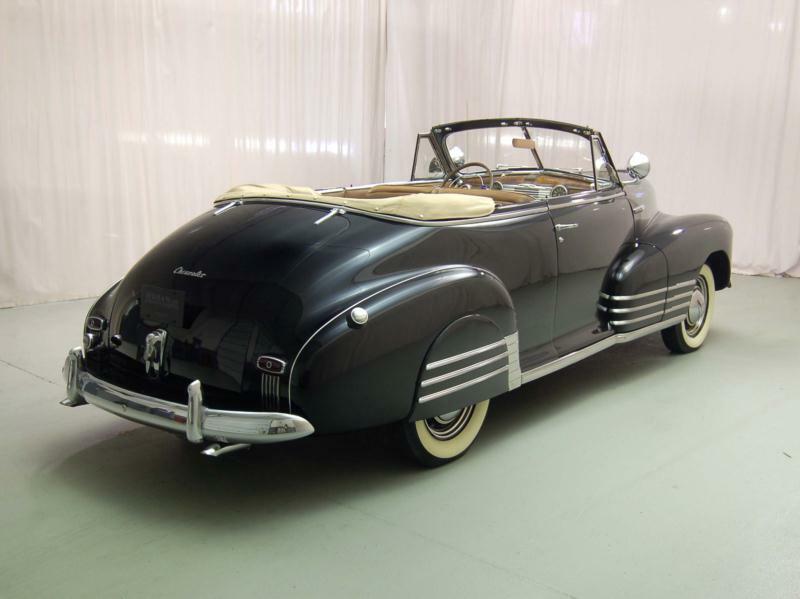 By 1948, such luxuries as a glove compartment light, leather-topped armrests, woodgrain dashboard, clock, cigarette lighter, and two-tone upholstery were offered. 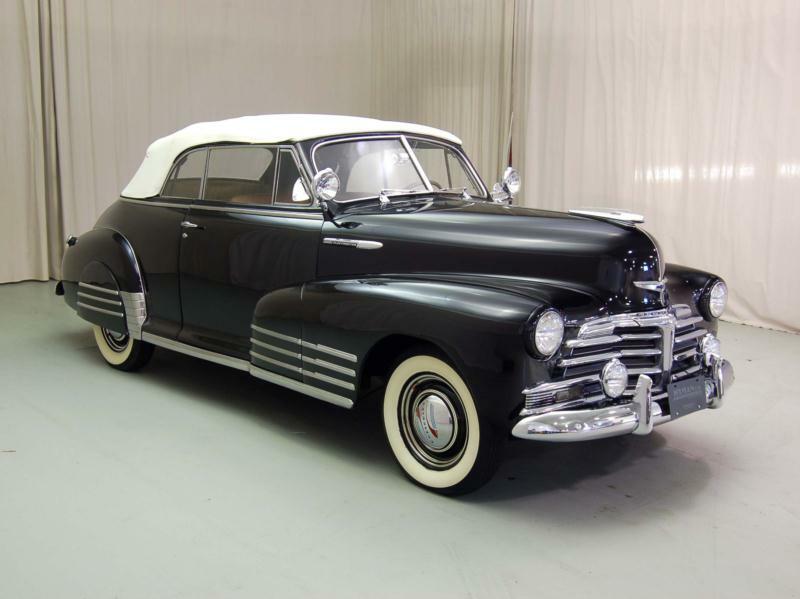 About 150,000 Fleetmasters were made in 1946, and well over 200,000 in each of the following two years as business boomed for Chevy and the nation as a whole. Collectors will be drawn to this era for its potential in both restoration and custom work. Of all the Chevrolet Fleetmasters, certainly the station wagon with its authentic wood is the most striking model. Only 804 were made in 1946, rising to 4,912 in 1947, and an astonishing 10,171 in 1948. If a station wagon can be found in restorable condition, it’s a car that adds value to any collection.